Pyramid activation and inner earth changes …. 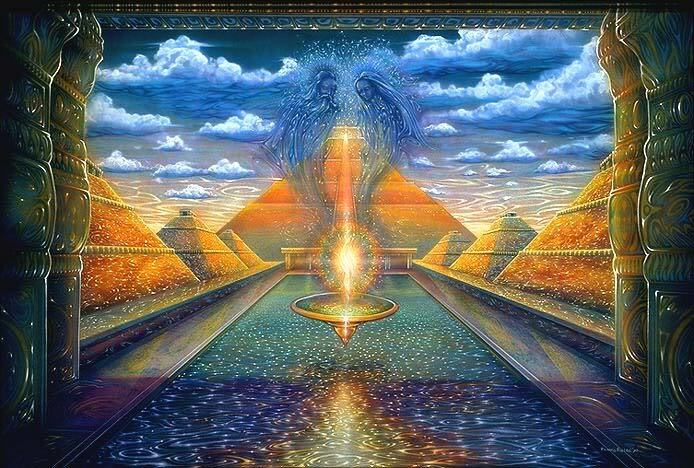 Pyramid activation and inner earth changes ….. Massive changes are happening in the inner earth crust, and these are pulling us more and more into the core of ourselves – that center place, where we feel the most….. It is there in the gut, and reaction to all the outside forces….. 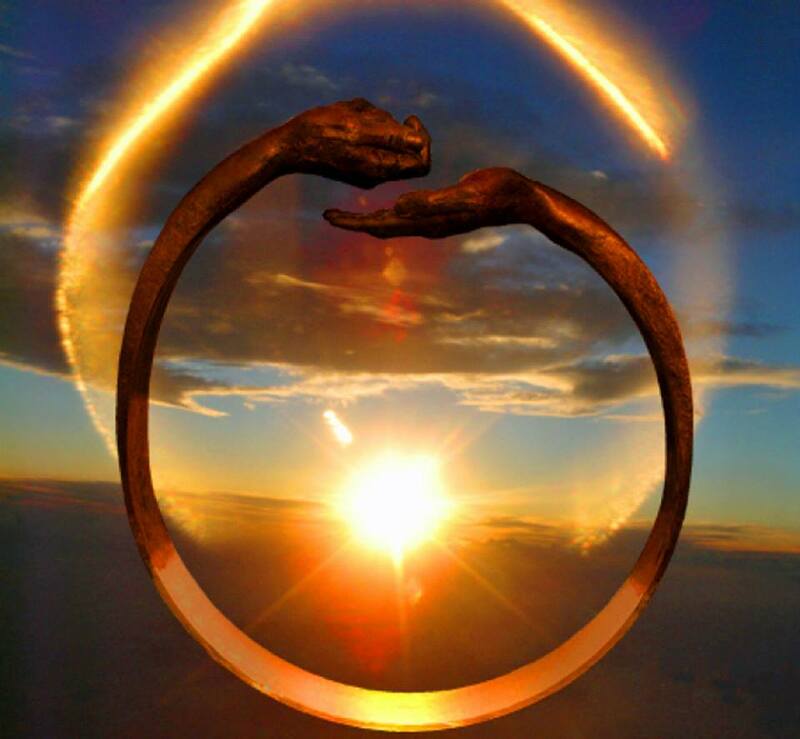 It is there in our relationships to the outer world – whether deep bonds of love, or social bonds…. It seems to circle out and out and has an effect on all and sundry…. The Earth is really a living and breathing entity and as she is being re-activated from the inner core and her whole molecular and outer structures are being revamped, something immense is happening. What is happening is the opening up of long dormant energy centers, the pyramids under the sea, in the inner core earth, and those who lie buried underneath the rubble. Some, like in South America, which lie buried under sand, in the forests, or in Lake Titicaca are becoming more activated, as are those elsewhere. The pacific sea beds are changing and the inner core pyramids in those areas becoming activated, like those dormant in Antarctica, the North Sea and Europe and elsewhere. There are certain energy centers which are working with the purest vibration of sound and this sound is out of hearing range. It is not the Selviggio frequencies as such, but some very higher frequency sound vibration which cannot be measured as yet, and which we have forgotten about. They all work in tandem and activate the energy grids, the nadis and meridian lines of the earth – and most of those in our own bodies and those others which are in the emotional, mental, physical and spiritual bodies. These frequencies are buzzing into the brain wave frequencies of our mind-heart connections and most importantly the other 352 energy wheels or grid systems in our bodies which we have forgotten about. The higher our own frequency bands are rising, the more we will start opening up to the realms which are there, yet as still not recognized – those realms which bring the whole consciousness of the different dimensional layers of planet earth together. This means from the elemental to the highest frequencies of the ethers around the planet – this where most psychics can tap into in order to do psychic readings. However this will now be fine-tuned so that the dense matters and the denser spirits who are earth-bound will not be able to gain access anymore, as they then are removed from the planet, and will take up life in a different planet in a far-off galaxy to start the evolutionary process on a dense planet, like this planet in the 3D form. All of this is reflecting in our everyday relationships with people and society all around us. A lot of relationships are falling apart at the core – mostly because some partners are starting to vibrate at a much higher frequency band as others. This is true for families and friendships too, and society at large. Some are so stuck in fear and the dense material forms, that they fear to step into a much higher frequency rate. This is their soul choice. What will happen is that will just will not be able to adjust as the higher and higher frequencies of sound vibrates through the stratosphere and the inner earth. They will literally feel they are disintegrating at some level – this is true. As far as relationships go, remember that love is also a frequency band and vibrates at certain frequencies. Under such circumstances, one partner may be stuck or hung up about material satisfaction and very much in the outer forms, and not at all activated from deep within the inner core – while the other might just be so activated on all levels, that all the glue in the world will simply not hold the relationship together. This is part of the transition – one has to understand that all outer show of marriage contracts and being bound legally have no jurisdiction in the higher realms of being – just like physical boundaries between countries are really of no consequence …. Animals have migrated along certain routes since the earth was formed and know no written form or do they see boundaries. All of this exists in the 3D forms and not in the higher realms. This does not mean that partnerships do not happen – but then partnership happens between two people who are on the same vibrational frequency band, and then like will attract like, and it will be in higher service that the coming together is and such a bond will not disintegrate because of having the same values and same being, seeing and experiencing. Society as such will disintegrate more and more. The structures will be shaken now to the very core. As will all foundations which are build on falsehoods and false information. There is really only one way now, to go and seek that inner strength and guidance, and that is from deep within. The indigo, crystal, rainbow and sun children all have inbuilt mechanisms which are now kicking in and are being activated. They will remember, and they will know what to do. After all that is what they have come in here to do – to activate the energies and to assist with the core rising of frequencies and vibrations, so that the old can disintegrate and new can be formed. All of this is happening more in the INNER planes, rather than outside. This is because the change is coming from deep within. What changes from within, affects the outer whole. Because the outer whole is much denser and vibrates at such a slow frequency, it takes longer to change. We are so finely created, that our own inner core can more easily adapt to frequency bands, and to inner fine-tunings… while the outer world, has very slow cogs and wheels which need to disintegrate in order to that new mechanisms can be put in place which vibrate at a much higher frequency rate. As the pyramid energies now truly become activated and inner core earth energies, this is going to impact more and more. The pyramids are all tuned in a certain frequency band and it is one that our instruments cannot as yet measure. However in the next few months and years, this too will change. It is best to understand that all changes have to felt and experienced from deep within, and thus the inner hearing and seeing have to get more and more activated, in order to be able to step up in consciousness. This is happening to thousands of people all over the planet, and even if they cannot always voice this, those who know, will understand what I am talking about here. It is something which has to happen to the individual. One cannot do this for another – however loved and close they are…. The activation has to come from WITHIN. The beauty and magic of life in the higher states of consciousness, is beyond anything we can even try to explain…. Yet, those who have been through deep inner core shifts and changes in the last few years know that there comes a deep inner love and contentment, which surpasses all words. One is simply tuned-in, and that is reward in itself – no matter how uncomfortable the changes were….. It is worth everything! The Search for the ultimate Grail – the Quest for Meaning…. We are sum total of many lifetimes and multiple existences in many dimensions and life on different evolutionary scales….. therefore we are not truly what we live here on this planet, for we sink into a deep forgetfulness sleep and then we often sleep our way through life and believe the lies we are programmed to believe. Nowhere is this truer than in the spheres of Love. Deep down there is this yearning to find someone who will love us – just the way we are. The fantasies develop, often around the concept of what life is reflecting back to us. It could be in the form of Knights in Shining Armour who sweep us off our feet…. It could the eternal love stories of a Cleopatra and Antony – it could be the never ending search for the realms of the Gods and Goddesses of Love, whose never-bliss becomes the essence of Nirvana itself…. What one really is searching for is whatever would fill us up from deep within… fill up the longing, the void…. Only in essence we are never told the truth – yet, if we truly seek and set out the truth it will find us in the end. For the old equation, as Above = so below, is in essence one of the most vital keys to understanding. The deeper we delve into our inner realms, and that of the eternal infiniteness which is our own soul and soul group and the infinite soul, the more we discover the infinite possibilities of love – deep within us. Love is essentially a higher frequency band, and it reflects in the vortex energy, which the Divine Feminine brings in. It is the electro-magnetic current which is the life-force itself. It is no accident that the highest frequency energy places in the world, and the pyramids, all work with this same energy, for in essence it is the very same. The Ancients have left clues all around us, and the clues are incorporated into the Flower of Life, as they are in cadeus, as they are in the symbol of the Tree of Life. All show us the keys to finding the essence, the Grail, the Holy and Sacred life-force itself. Yet, in order to find the Grail, one first has to embark on a journey of discovery, and that journey of discovery is, in essence, the search for MEANING. Yet, love and meaning go hand in hand, and therefore the love energy, in essence is what keeps us going, what keeps the flame of hope alive, and most importantly, in our darkest nights of the soul, it is love which leads us home. In his book “the Search for Meaning” dr. Victor Frankl tells of his experiences in one of the concentration camps of the Nazi’s – where they were stripped naked – all their clothes stripped, all their belongings gone. In this he asks himself what made human beings survive the extremes of gas chambers, or being stripped naked to the very core, of all your humanness, and then to be able to still survive? He found that those who survived had a cause, a higher meaning, a higher REASON to live, for they something GREATER than the sum total of themselves to hang onto and a vision or quest GREATER than the sum total of themselves. I remember reading this, some years ago, and then asking myself, what gave my life this meaning, this vision, this question, greater than the sum total of myself? That, in itself, has become my journey of discovery in these last few years, in this the higher meaning of life – itself. For the true higher meaning, the true love, the true inner quest, starts from deep within…. It cannot start from without, for other people will always have their own agendas and their ideas about whom and what you should be. (This by no ways implies that one should not have a close bond, or enjoy that…. Rather that one should never exclude all others and the inner search for meaning – because you started living a life to please another, and lost yourself in the process). Essentially love and all of the life is a vast energy field. It starts within our own hearts and our physical bodies, our souls, our emotional, mental and spiritual bodies, but most of all; it starts by connecting to that something GREATER than the sum total of ourselves, from deep within. The Tree of Life, the source of all knowledge and wisdom, and the Quest of the grail, all live there, deep within….. 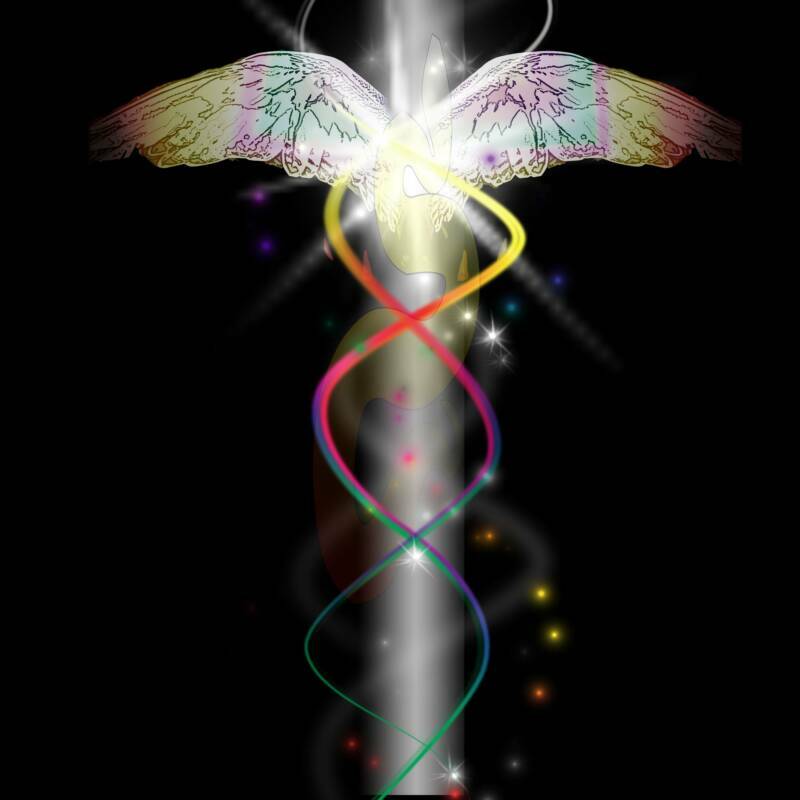 The vortex energy, and its central keys and codes all lie encodified within us too…. That is how we were created – for in essence we carry the SEED of Life, like the TREE OF LIFE, deep within ourselves. Some people are always searching for SOMEONE to make them happy, or SOMETHING to happen so that this will bring them happiness. They finally find that someone, and find that it is not just smelling the roses, and often feeling of being let down, or their bubble bursting somewhere along the line, comes to the fore. The same with things – when they finally live in our dream house, we find that the void deep inside of us has not been filled, so we search for the next thing and the next to make us happy. Your soul quest, your soul calling, will always be GREATER than the sum total of yourself. It is like that invisible force that keep your fires going, when all the rest of the world are trying to extinguish it. It is like a frail mother, suddenly finding the strength to lift a car off her child – in that moment the life of child becomes more important to her than anything else, and in that moment she taps into something deep inside of her, which is GREATER than the sum total of her own limited beliefs about herself and her own strength. When one has this inner quest, all else falls by the wayside: relationships, jobs, those things….. One simply KNOWS this is it! The Knight goes on search for the Grail. He leaves everything behind him, and he journeys into the unknown, the unchartered, the dangers, the adventures, which will test his inner strength and resilience…. Which will put him through severe initiations, and tests, yet his Quest, his search for meaning – is what helps him to survive and to not give up, until he finds the Grail, and then BECOMES the LIVING GRAIL. There lies the crux. The journey, the quest is but that which brings us to the finding that inner vortex energy, that higher state of BEING, of existence, of FLOW, and then we BECOME ATONE with it. This is what lifts us into the higher states of consciousness, into the state to be able to experience miracles happening. This is the state where one can operate on a multidimensional level and where the mundane become the magical, the enchanting and extra-ordinary. The Sorcerer’s apprenticeship, was in essence the apprenticeship into the QUEST, the Grail, the ALCHEMY of the Tree of Life itself, the Flower of Life, and then to BECOME this. There lie the keys and codes. It is only in BECOMING the quest, that the quest becomes us, and we ARE what we were searching for all along…. Because when we LIVE the higher meaning and purpose, WE ARE WHAT GIVES MEANING AND PURPOSE to all other life and life forms. This is the central key. When the Earth emerges from the time-warp she was in, for 72 000 years and now moves into the expanded time which is the true cosmic time, this brings about immense changes from inner core heart of the planet, and most of all the core heart of the cosmic whole. I sometimes don’t quite know what to call this bubble of amnesia that the Earth and collective whole were in, for within our sinking deeper and deeper into the 3D and core of forgetfulness, we lost so many of our higher talents, abilities and inner seeing. A lot of this has to do with the deliberate brain washing the collective went through, but also that phase of truly descending into the underworld, the world of Hades. The darkness, that phase where the Light hardly comes in, and there is that sense of dying and decay. It was the phase when mankind was totally ruled by the mind, without the activation of the heart, for the heart comes in conjunction with the use of right brain, the creative and feminine force, that caring, nurturing and immense open heart. When one looks back at this time, it will be time of stagnant incubation where the intuitive side, that beautiful KNOWING side, was squashed to the core and the deep inner connectedness to Mother Earth. It was the Dark Ages, before one of the greatest Renaissance’s mankind will ever go through, which is now happening. As that intuitive knowing side of us emerges more and more with the return of the Divine Feminine, we are changing in our whole physical form, to start accommodation the Higher Vibrations and Frequencies of ATONENESS, that totally moving at molecular levels, where our consciousness rises and we become aware, and knowing, that we cannot destroy anything, without destroying ourselves, we cannot make war, without all being at-war deep within….. we cannot live peace, with our hearts and soul are not at peace. Descending into the Underworld, we have learnt a lot. We have learnt that if we cut ourselves off from the rest of Creation, and Love force itself, then we in reality experience the pain of separation – of not being whole. The wholeness has never left us, has always been…. But we had to experience that separateness, in order to find our way back to wholeness and completeness, in order to appreciate this. I think of this as the Renaissance of the heart. That heart is making itself felt now. It is making itself felt most deeply and profoundly in the way our relationships are falling apart. As the suddenly realize that we cannot make another love us unconditionally, that we cannot force love from another to the extent that we love, we are finding the way back to our own hearts and souls. There is a profound shift here: – the shift comes from the understanding that we ARE love, and that love is what we are at the core. Yet, how often does that lack of love for ourselves, trip us up in the love we share for others. The shift here is to understand that another cannot be responsible for our inner well being, our inner happiness and contentment nor the love for ourselves. If we do not honor and nurture ourselves, to the very core, then how can we honor the sacredness of the heart and soul of another? It extends to the cosmic core heart and the Divine. When the heart expands to overflowing, when the intuitive shines through and its connection to the Divine is intense, then the feeling of separateness vanishes into the whiffs of air it truly was, and we understand that we are ONE – with all of creation. We are one with dark and light. We are one with all that is…. Every molecular, and cellular existence, in all its myriads form. We are all that is, and all that is, is us. We start to understand that all opening up of the heart, is in reality the openness to love and trust. It is mostly dis-trust which keeps us regularly closing our hearts and buildings walls around it. It is dis-trust that makes us close even our most vital life forces. It is distrust in the Divine Love and guidance. It is dis-trust in completeness, in the wholeness of Love in its completed form. The shift then, is the shift of the heart. It is here that I feel. If is here that I am most connected to the Soul. It is here and in the solar plexus region, that our core energy matrix, when fully activated forms the interconnectedness with all, through the channel of the kundalini and the open channels of the pineal and pituitary glands. When all are open and fully functioning, and all 12 chakras are activated, the channels are wide open for the Divine Energies to lift up and expand within us. When the whole channels are open to the Divine and the channels are open to the core Earth heart, then we are fully activated from above and below. WE ARE ONE.